Almost 17 years ago, following a tip-off from a customer, we started to sell a simple, Czech-made cooker that no one else had heard of… and what a little treasure we found! Remoska is compact, cooks wonderfully and is incredibly thrifty with electricity, ideal for easy and economical cooking at home… and away. Find out more about the Remoska family. A clever and compact cooker invented in the 1950s, it’s basically an electric mini-oven with a lid that does the cooking. It comprises a Teflon-coated pan, a heat-resistant trivet and the clever cooking lid and, because it comes apart, you can carry the pan to the table to serve whatever delicious food you’ve just made. But there’s a lot more to the Remoska than its vintage credentials. Incredibly versatile and cheap to run, it roasts, bakes, fries, even cooks pizza and reheats ready meals. Small enough to stow away in the smallest caravan or campervan, it’s so energy-efficient it’s an economical marvel. But, if you look beyond its undoubted kitchen capabilities, you’ll find the Remoska is also perfect for people who enjoy the freedom of holidaying in the great outdoors but still love to eat – and serve – great food. 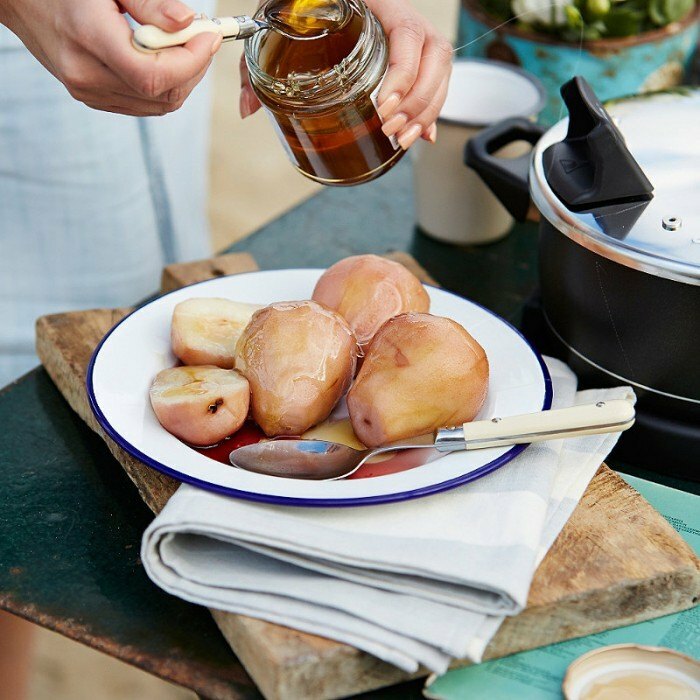 Holiday food won’t have to be all about barbecues, fish and chips, pub lunches, pasta and quick one-pot dishes; with your Remoska you’ll be able to take your love of home-made food on holiday with you, making the most of fresh, local produce wherever you are. Tasty prawn paella becomes a fuss-free dish, serve it with freshly baked focaccia or follow it with an impressive-looking dessert such as pears poached with red wine and honey. With the Remoska you can ring the changes time after time: think easy, no-stir summery risotto; roast sweet potato wedges or chicken roasted with red peppers, basil and cherry tomatoes. Relax and enjoy a leisurely lunch with camembert baked in a box and fresh bread to dunk, or make the most of mornings off with a frittata or a good old-fashioned fry-up. There’s a wide range of Remoska recipes to inspire you online or for even more ideas there’s the Remoska cookbook too. 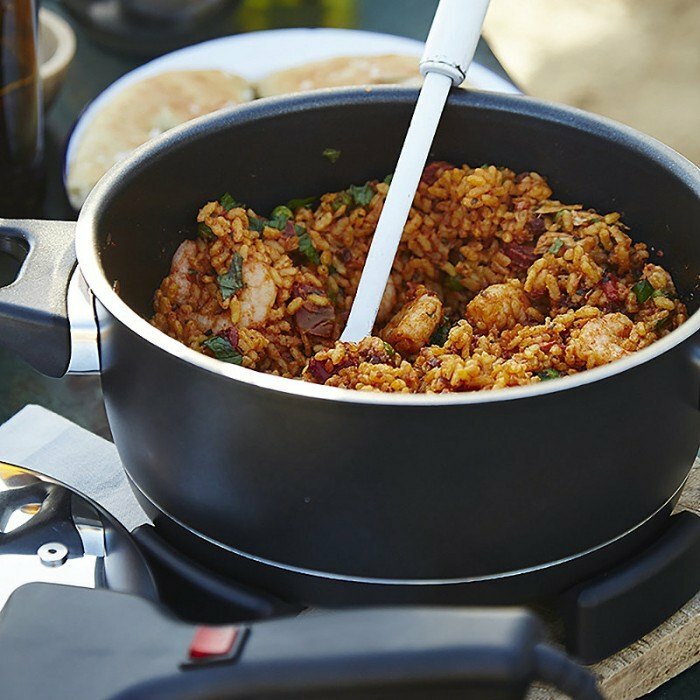 Not only are the food possibilities almost endless, the Remoska is quicker, cleaner and much more versatile than a barbecue: there’s only one pan to wash up and that’s a breeze because of the fantastic non-stick coating. Say goodbye to endless fast food, tins and packets as a whole new range of fresh, home-cooked meals becomes possible, simply switch on your Remoska, sit down, relax, and enjoy your holiday. It’s a simple, everyday gadget which can help you make the most of those memorable evenings outdoors. 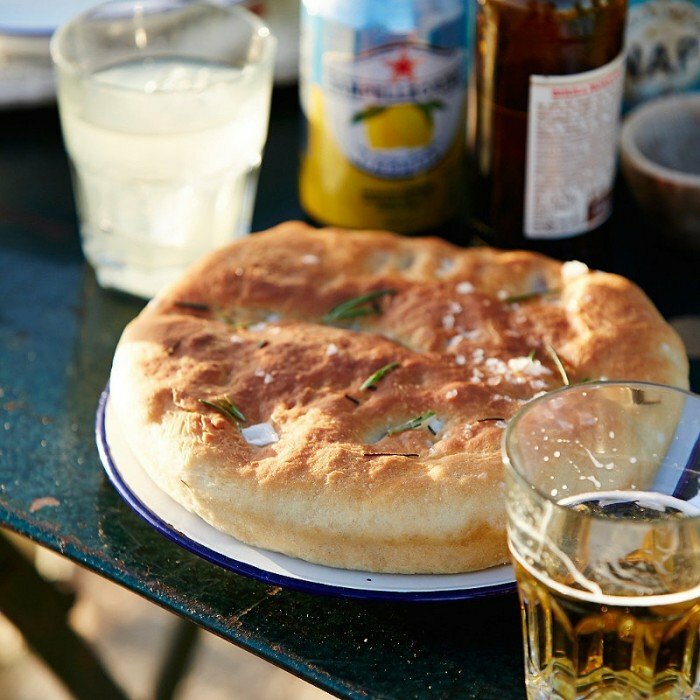 When we took our Remoska on the road we cooked some delicious dishes – we’d love to hear where you’ve travelled and what you’ve cooked too, so share your Remoska recipes, stories and photos with us! Find out more about the Remoska family, here.